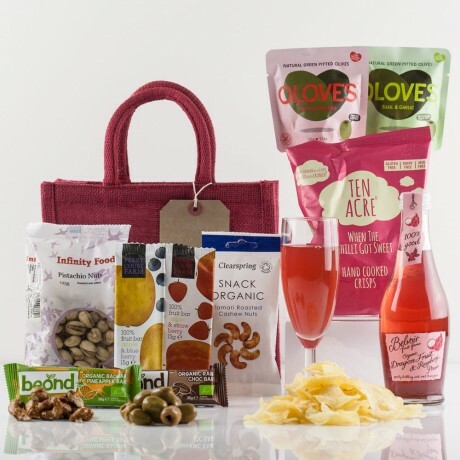 Perfect for a Veggie Birthday, Christmas, Easter, Mother's or Father's Day, this Vegetarian Treats Gift Bag contains a delicious selection of food goodies from Organic Belvoir, Oloves, Ten Acre, Perry Court Farm, Clearspring & Beond Organic - Treat someone to this present today! Note - Natures Hampers does not manufacture the products we put into our baskets, gift bags, gift boxes and hampers. It is our suggestion that if you have any sensitivities or allergies you contact us so that we can provide manufacturer’s labels for you to review. Belvoir Dragon Fruit & Raspberry Presse - Carbonated spring water, organic sugar, organic juices not from concentrate: dragon fruit 3%, raspberry 2% and redcurrant; organic juices from concentrate: raspberry 2%, lemon and elderberry; citric acid. 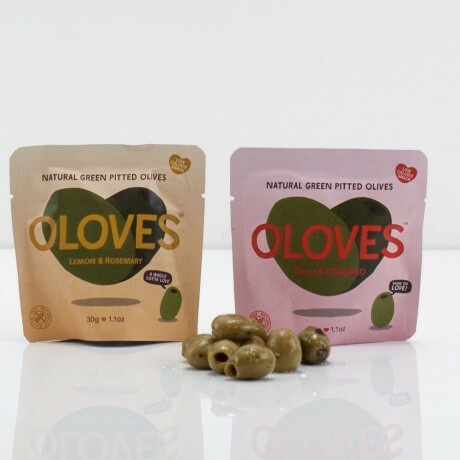 Oloves Lemon & Rosemary Olives - Pitted Green olives 92%, Sunflower oil, Lemon pieces 5%, Rosemary, Garlic, Salt, Vinegar, Lactic acid, Citric acid. Oloves Garlic & Chili Olives - Pitted Green olives 96%, Sunflower oil, Chili 0.6%, Oregano 0.3%, Garlic, Salt, Vinegar, Lactic acid, Citric acid. Suma Roasted and Salted Pistachio Nuts - Pistachio Nuts, Salt. Ten Acre Hand Cooked Crisps - Potatoes, Sunflower Oil, Salt & Vinegar Flavouring (Rice Flour, Salt, Acidity Regulator: Sodium Diacetate, Dextrose, Citric Acid E330). Perry Court Farm 100% Fruit Bar Apple & Raspberry - Apple (80%) Raspberry Puree (20%). Clearspring Organic Tamari Roasted Cashew Nuts - cashews* (92%), tamari* (8%) (whole soya beans*, water, sea salt, mirin* [sweet rice*, water, cultured rice*]). *from organic agriculture.